Here I go again with the Depeche Mode inspired title above. But, I really just can't get enough of Revlon's Just Bitten Kissable Balm Stain. It's February in Toronto, Canada - and like so many people, my lips are just so dry. 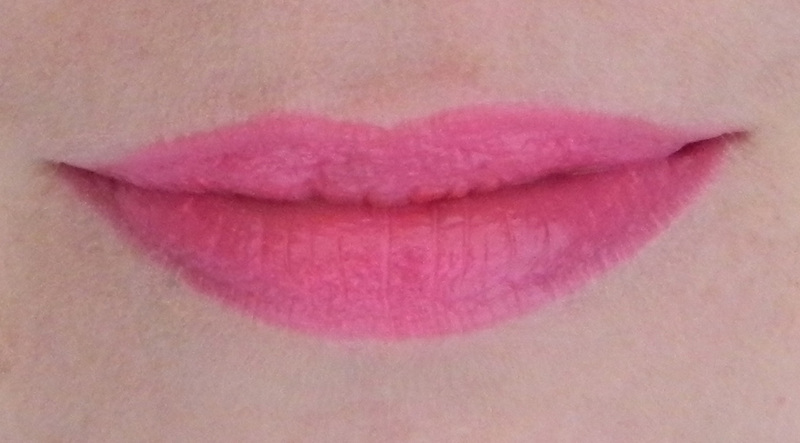 I had to find a lip colour that would hydrate and give me long lasting colour. When I saw the Revlon Just Bitten Kissable Balm Stain (looong name....I know) I was intrigued. Most "stains" are very drying. This one was supposed to be moisturizing as well. The verdict? Gorgeous colours AND moisturizing! The application is so easy because it's like using an extra large lip liner - so you can define the shape of your lips and fill them in. This product goes on very smoothly. My favourite colours so far are the berry shades...."Sweetheart", "Lovesick", "Smitten" and "Crush". 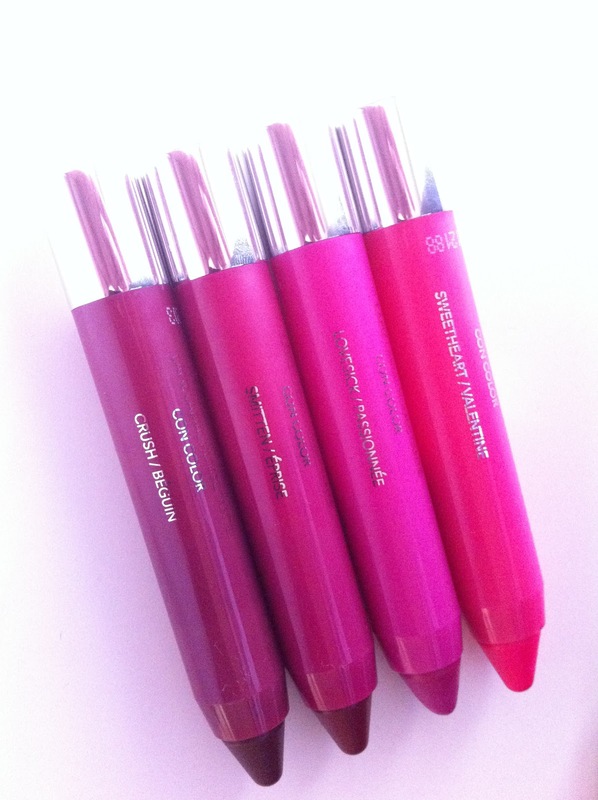 Colours from left to right: "Crush", "Smitten", "Lovesick", and "Sweetheart". These are a godsend! I am heading out now to my closest Shoppers to pick up a few pink ones! Love the Sweetheart on your lips...so pretty! I don't usually like a stain (and I don't mean re laundry), but I've tried these, and they're long lasting.